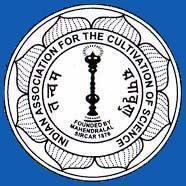 Indian Association for the cultivation of science has announced recruitment news for the post of Technical officer, Security Officer and various other vacancies. Applicants interested in this job may apply on or before 25th April 2016. Education / Qualification: Applicants applying for the post of Technical Officers must possess Bachelors in engineering in Electrical along with 5 years of work experience and for the post of Security Officer Applicants must process any graduate degree with 7 years of experience in security fire fighting and laboratory safety. Procedure to apply: Applicants interested in this job may send their job applications in prescribed format along with all the relevant documents on 4th April 2016 at the address given below.